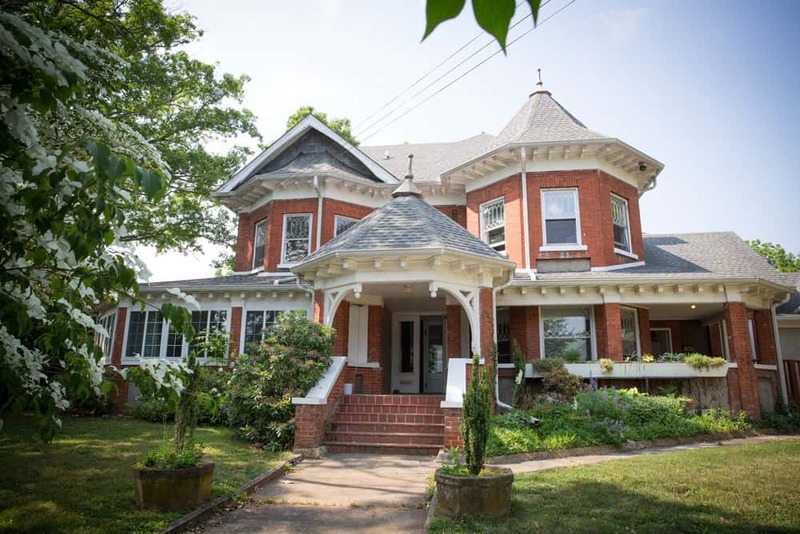 The admissions office is located on the first floor of the historic Orr Mansion, through the original front doors and to the left. The atmosphere in the Orr House is one of homey comfort and beautiful aesthetics for our second and third grade classrooms. 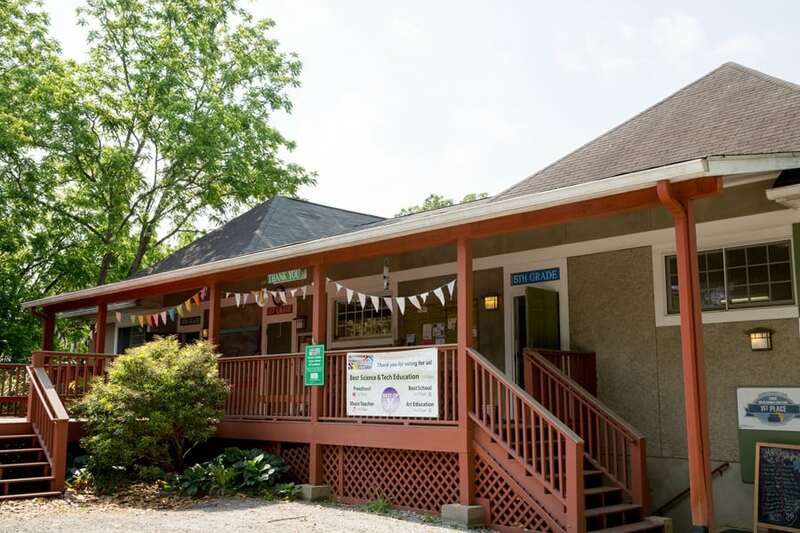 Our historic building is also home to our administrative offices, which are accessible from the deck connecting Orr House with Rainbow Row. You may make tuition payments here, review Board and school communications, request information about our programs, or schedule a visit with the Executive or Operations Directors. When you come to campus, be sure to check in with the office when you visit. This is the place where you’ll go to start your tour. It’s also where the Executive Director’s office is located, the Director of Operations, our Office Manager, as well as several other folks. You’ll contact the office for all school-related information, including tardy slips, health concerns, classroom information, as well as any other questions you may have. 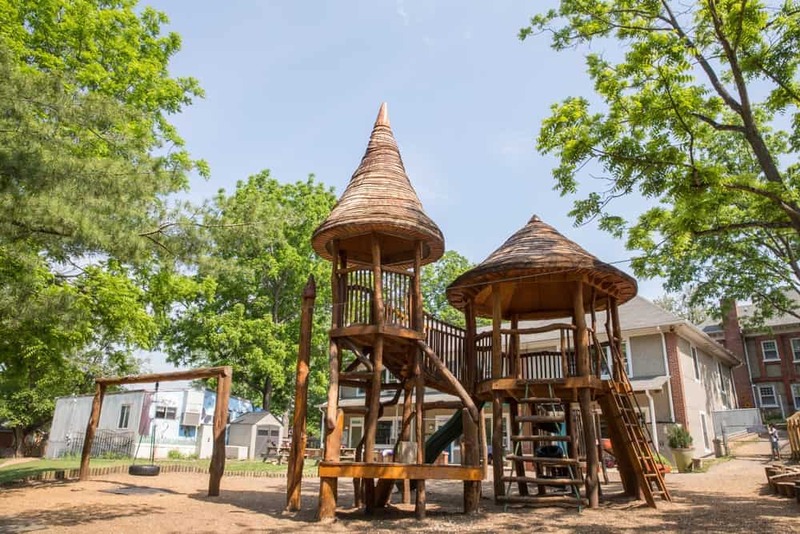 Across the deck and next to the Peace Garden, the newer classroom building houses first, fourth, and fifth grades on the upper level and preschool on the lower level, providing safe and easy access to the playground.. The older classes share a mobile computer lab of Macintosh lap tops. 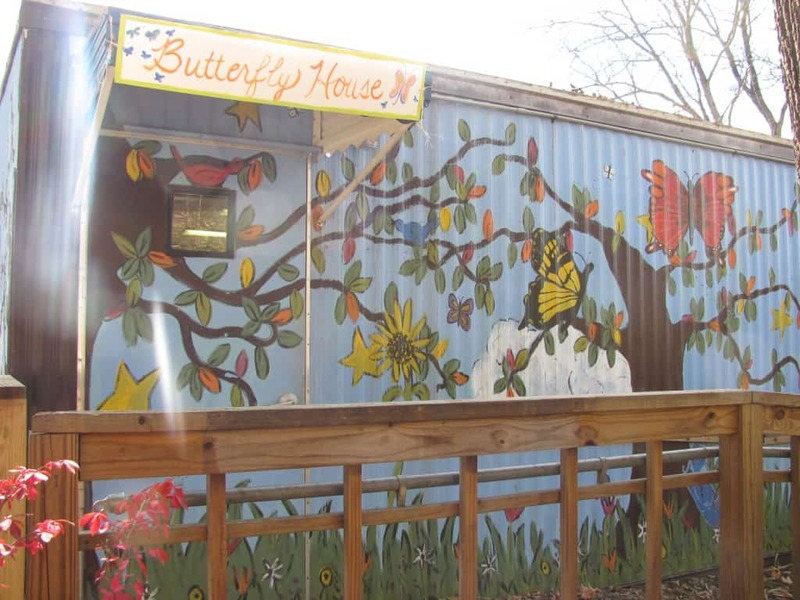 Art and after school programs are located in the butterfly house between Rainbow Row and the Student and Family Support Center. 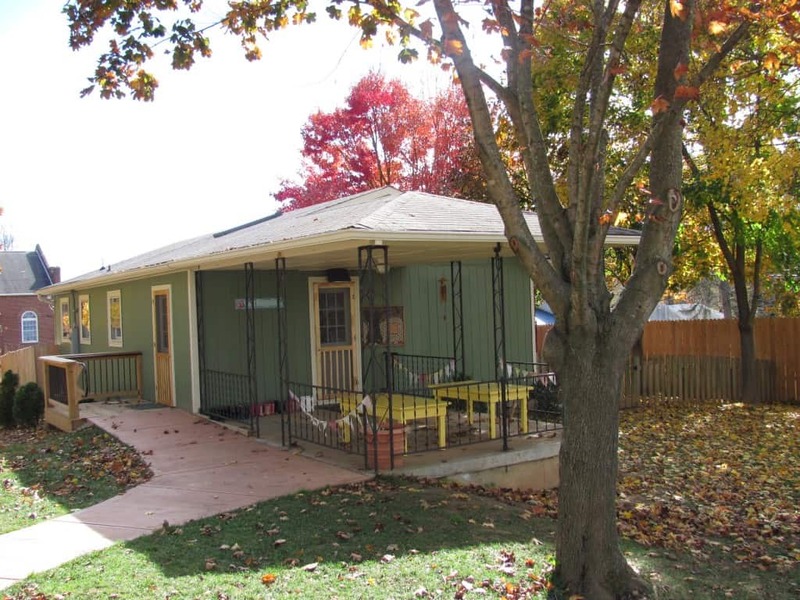 The Orchard House is the very sweet home for our kindergarten program, providing them access to their own, private garden area and easy access to the playground. It is located through the playground, on from the Omega Middle School parking lot. 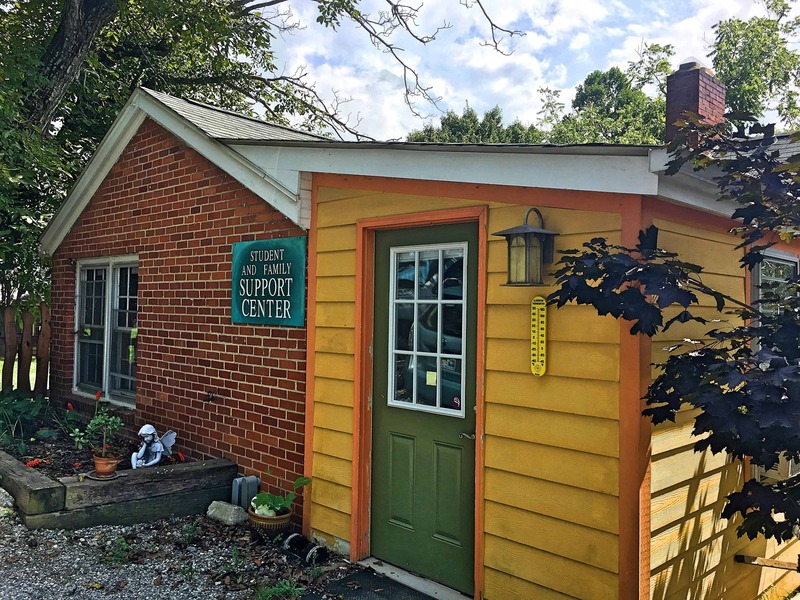 The student support and counseling offices are located in the brick house at the bottom of the lower parking lot adjacent to the playing field. Please note that all parking lots are one way. 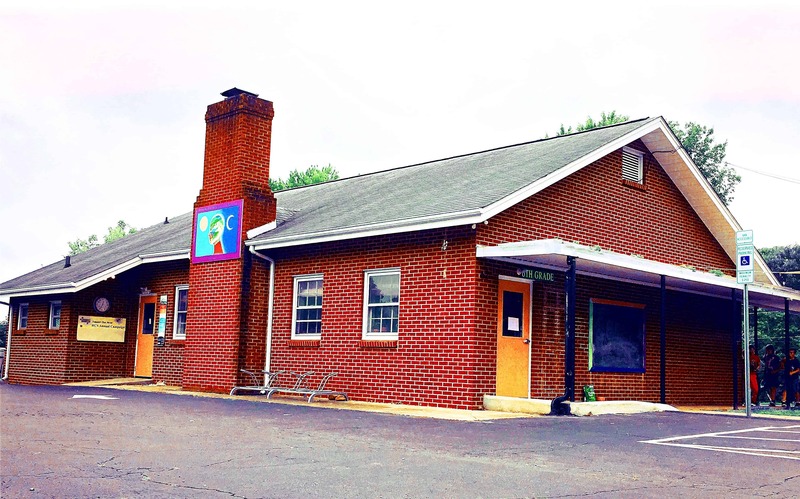 The preschool and elementary school campus must be entered from Haywood Road and exited onto State Street. The Omega Middle School Campus must be entered from State Street and exited onto Pennsylvania Avenue. To ensure traffic moves safely through our campus, we ask that you park only in designated parking spaces or use on-street parking. From Haywood Road one would never guess how large and beautiful campus is. The gnome village playground and Fantasy Land preschool area are safely out of view, as are the zip line, orchard, swings, and playing field. 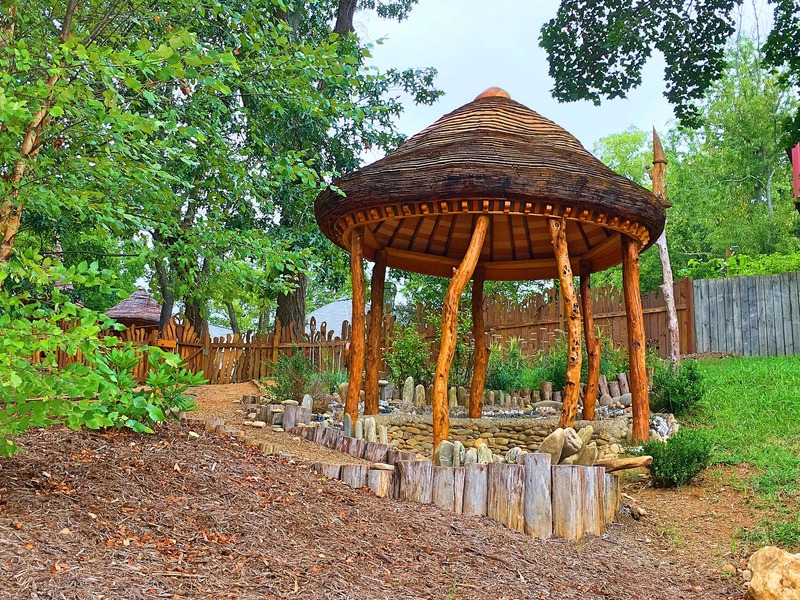 Besides the playground we use the small, intimate areas of our beautiful campus for outdoor learning, such as the outdoor classroom, with its sitting stumps and botony garden. We have over 75 trees on campus, including prize winning old growth trees, such as the huge copper beech that has been given “Treasure Tree” status by the City of Asheville and the two-winged silver bell that is a national champion. 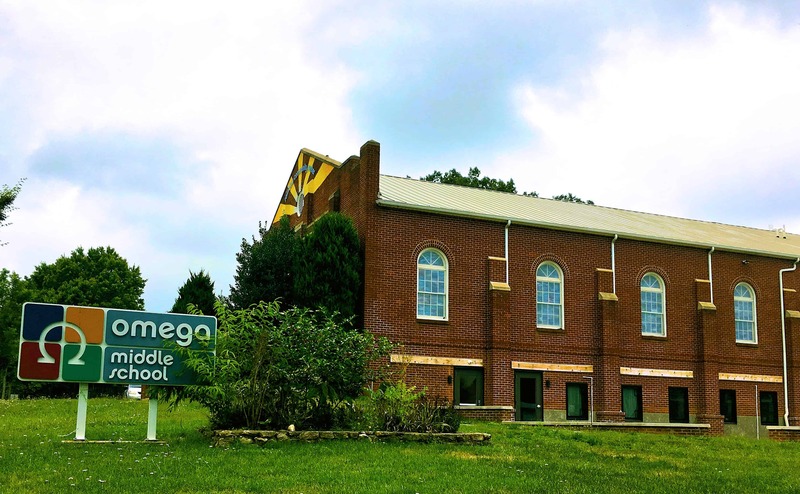 The 6th grade classroom occupies the building next to Omega and the community center. Inside is a beautiful classroom in which students have space to immerse themselves in every subject, and have room to expand as needed to work on personal businesses, projects, and so much more. Our Omega Middle School includes 6th, 7th and 8th grades. Pictured here are the 7th and 8th grade classrooms. These classrooms are some of the newest at Rainbow. The Omega program includes a dynamic curriculum that focuses on the whole child. Teachers work with students to help them develop a strong sense of self and a voice to express themselves in healthy ways. 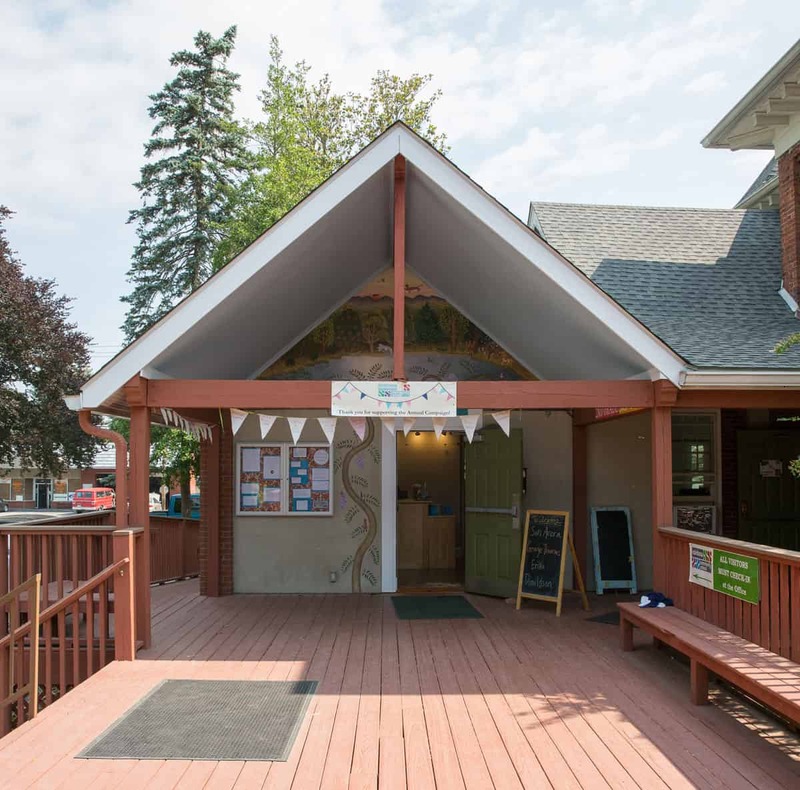 Our Rainbow Community Center serves as a meeting place for all grades, extra space to spread out for classes, a community presentation space, and other organizations can rent out the space on a first-come, first served basis. 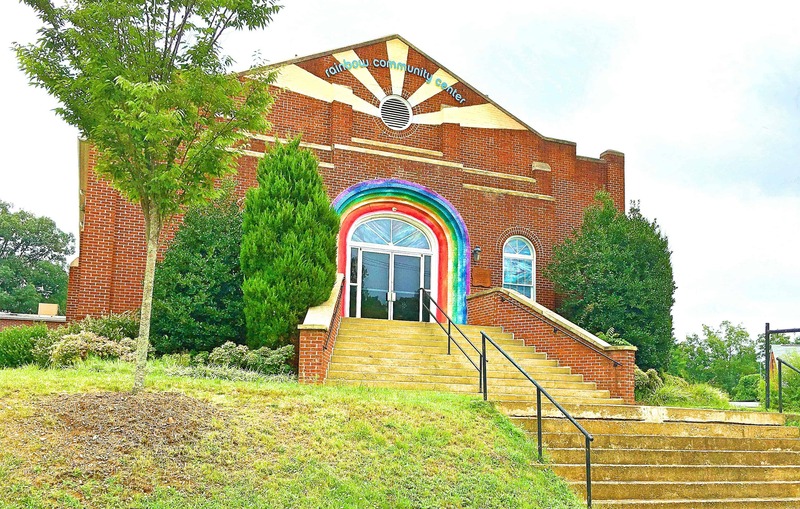 If you would like to rent out the auditorium space, please contact info@rainbowlearning.org for more information. Rainbow encourages mindfulness. All over campus, mindful spaces encourage students to spend time in contemplation. Still, these spaces invite students to play, use their imagination, and explore their environment in safe and healthy ways.